He’s figuring that Verizon Wireless will deploy as many as 60,000 new nodes in the upcoming months while he pegs the number at 40,000 for AT&T. Ganzi also predicts T-Mobile also will jump on the bandwagon and Sprint likely will follow. Either way, figures Ganzi, carriers will have to densify their networks to keep up with fast-growing consumer demand. 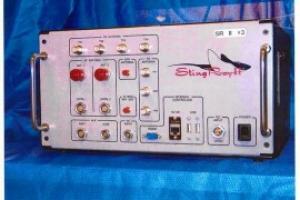 Congress is now giving a closer look at a device that mimics a cell tower to spy on cell phones after two federal agencies said they will require a warrant to used the tool called a StingRay. The Department of Justice and the Department of Homeland Security have both recently said they will require warrants to use the devices and on Oct. 21, the House Oversight subcommittee heard testimony from Seth Stodder, an assistant secretary at Homeland Security. The day before the hearing, Homeland Security issued a detailed memo outlining guidelines for using StingRays but critics are still pushing for tighter control over the devices. Sen. Patrick Leahy (D-Vt.), who has previously pressed for answers on the technology, said the legal memo was a positive first step, but pointed to “problematic” exceptions, according to TheHill newspaper. “I am disappointed that DHS..." Continue reading here. Hoping to create fertile ground to spawn 5G mobile service, the FCC yesterday proposed new rules for the wireless broadband in the wireless frequencies above 24Ghz. The FCC has fined Anchorage, Alaska-based General Communications, Inc. $620,000 for failing to register 118-towers and for failing to properly light three of them to comply with flight safety rules. A settlement was reached and announced late Tuesday (October 20) by the FCC in Washington. The wireless, Internet and phone company’s wholly-owned tower subsidiary, The Alaska Wireless Network, reported to the FCC in early 2014 that it discovered numerous apparent violations of the tower registration requirements, including for many towers that it had recently acquired. A subsequent investigation by the FCC’s Wireless Bureau showed that about 118 communications towers had not been registered in the Antenna Structure Registration system and that three towers did not meet lighting requirements. Some are calling Sprint’s decision to sit out the 2016 incentive auction its biggest mistake since trying to buy T-Mobile. The company cited its reasoning as prioritizing financial resources to improve network coverage, capacity, speed and reliability in the near future. TheStreet reported that Sprint’s stock dropped after the announcement because investors believe the company will be deprived of future network upgrades without this spectrum. On Monday when the market opened, Sprint shares fell 7.3% to $3.98. Brian Fung of The Washington Post explained that this spectrum which operates at frequencies of 600 MHz should make our cellular data faster and better able to handle intensive applications like streaming music and video. Many have called these frequencies “beach-front property,” and the auction has been dubbed a “once-in-a-lifetime” opportunity. Continue reading here.